Winnipeg, MB – The Canadian Sport Centre Manitoba (CSCM) is excited to announce and welcome Scott Sywy in the role of Athlete Services and Programs Manager, effective Monday, October 29, 2018. 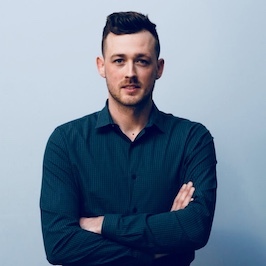 As our newest addition to the team, Scott brings a wealth of knowledge in sport, business and marketing to the role of Athlete Services & Programs Manager at CSCM. Scott’s professional career in sports and entertainment began in 2014, working as a Communications and Hockey Operations Coordinator for the Victoria Royals in the Western Hockey League. Throughout his career, Scott has managed to gain extensive experience in the sports industry, connecting himself to many notable names and organizations including the NHL, NHLPA, CFL, AHL, WHL, and various sports agencies across Canada. Before joining the Canadian Sport Centre Manitoba, he worked as a Talent Coordinator for a sports marketing agency in Toronto where he served as a key contributor in recruiting and managing professional athletes and personalities. Scott holds a bachelor’s degree in Sports Management. 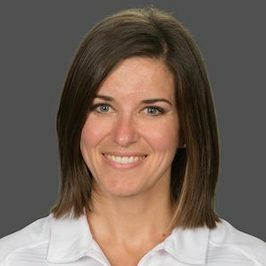 In addition to Scott, Janelle Vincent joined the team at the Canadian Sport Centre Manitoba in September 2018; and will be working directly with the Director of Sport Dietetics, Jorie Janzen within the Integrated Support Team service environment. Janelle is a Registered Dietitian with a passion for sport, who strives to help athletes achieve their athletic potential by assisting them to fuel their bodies properly. She has worked with individual athletes and teams from a recreational to a national level, with most of her current work being with university-level athletes. Janelle received a Bachelor of Exercise and Sport Science, followed by a Bachelor of Science, Human Nutritional Sciences. To continue her education in the field of sports nutrition, she attended the Dietitians of Canada & Sports Dietitians Australia 4-day Intensive Sport Nutrition Course, completed the IOC Diploma in Sports Nutrition and also became a Board-Certified Specialist in Sports Dietetics (CSSD). Janelle currently works with the University of Manitoba Bisons, is a member of the College of Dietitians of Manitoba, Dietitians of Canada and co-chair of its Sports Nutrition Network, Manitoba Sport Nutrition Network (past co-chair), and Collegiate & Professional Sports Dietitians Association. She is also a board member of the Sport Medicine and Science Council Manitoba. In addition to his role as RBC Training Ground Coordinator, Cole Vincent has successfully transitioned from an intern position with CSCM to Assistant Strength Coach. By joining the CSCM team, Cole has increased our capacity to take on a new group of athletes in judo and has become the primary service provider for diving after two years of assisting the program. 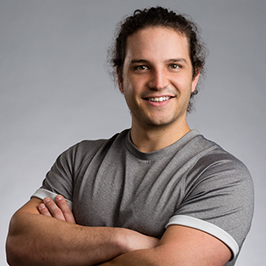 He continues to develop as a strength coach through advanced education by enrolling in a master’s degree program through St. Mary’s University (UK), Master of Science in Strength and Conditioning. Cole’s official role at CSCM is RBC Training Ground and S&C Coach. The Canadian Sport Centre Manitoba (CSCM) was created as one of the many legacies of the 1999 Pan American Games held in Winnipeg. Today, CSCM is the hub for high-performance sport in Manitoba. A proud member of the Olympic and Paralympic Sport Institute Network, CSCM works to provide a world-class, multi-sport daily training environment for athletes and coaches through integrated services and programs in the fields of physiology, strength and conditioning, nutrition, psychology and support services.